Rent Beaver Dam Historic House | Corporate Events | Wedding Locations, Event Spaces and Party Venues. Built in 1829 by Major Lee Davidson and his wife, Betsy Lee, this “Federal Style” home (renovated in 1975) possesses all the charm and nostalgia of its colorful past. The spacious green yard and large Magnolias create a romantic setting for wedding ceremonies and receptions. 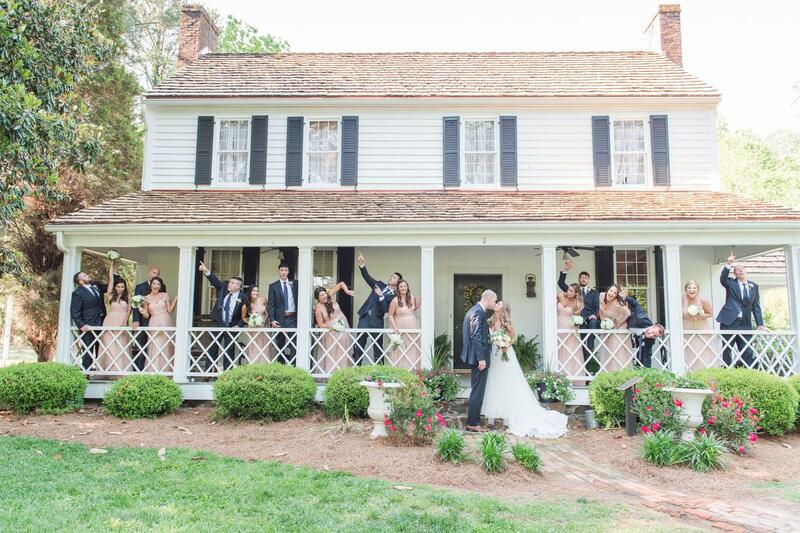 The rustic barn, built in the 1800’s, is the perfect spot for a ceremony. The lower level of the home and its “Southern Style” front porch offer ample room for seated gatherings. The upstairs accommodates a private bridal suite with chandelier, tables, and chairs. This luxurious dressing room will welcome you and your bridesmaids on your wedding day, creating an air of peace and harmony. Armin’s Catering & Events celebrates our 21st year anniversary this year. Our philosophy embraces the vision that the taste of food and entertaining is a spectacular symphony. The Queen City has embraced Armin’s Catering & Events at many of its finest venues including The Mint Museum, The Levine Museum, Temple Beth El, The Foundation for The Carolinas, The McColl Center, Center Stage No Da, Charlotte Museum of History, and The Magnolia Room. Armin’s Catering & Events is located in the Lake Norman area with our corporate office in Huntersville and two venues in Historic Davidson and Cornelius, just minutes from Mooresville and downtown Charlotte. Armin’s Catering & Events provides boutique services, which includes event and venue design, menu planning and entertainment coordination. Armin’s specializes in helping you design the complete occasion. A unique “tasting” & meeting will ensure that your menu will make a lasting impression on you and your guests for years to come.